You can imagine our delight when last week we received a photograph of Winifreda using her ‘new’ machine. 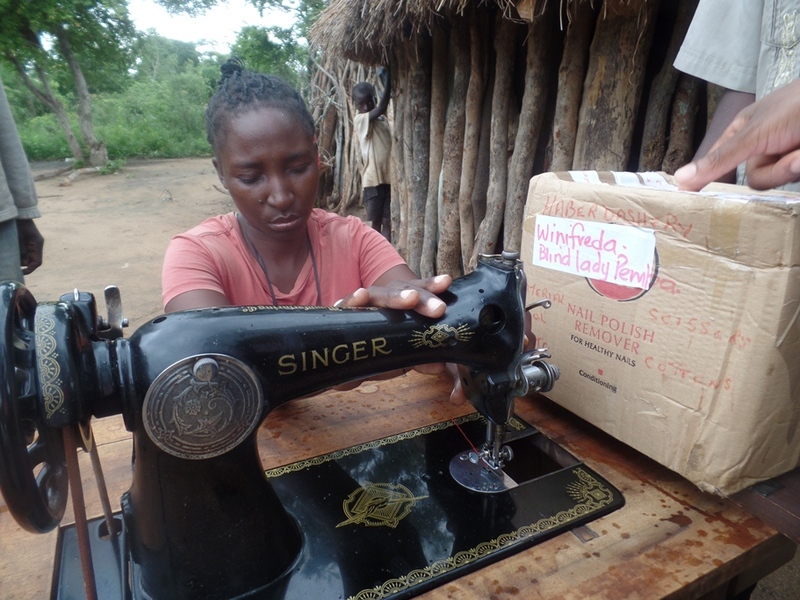 We were also pleased to see the label we had attached to her machine when we were loading the container in Mamhilad. It was a case of job well done! However, the real satisfaction came because one loyal supporter enabled this individual request to be met. This typifies the personal touch which is part of our HHI remit. Thank you. 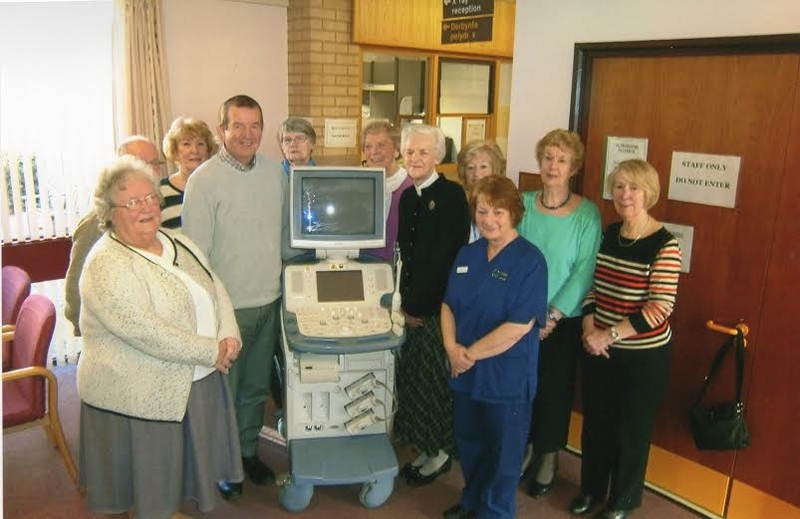 Five years ago HHI received a scanner donated by the Deeside League of Friends in North Wales.The machine is still operating in Gwembe District Hospital in Zambia. Now, five years on, the machine replacing the one in Gwembe is about to start its journey to Monze Mission Hospital. The hospital is desperate to have the scanner becase their own is now unusable. So you can imagine how grateful we are to receive our second scanner thanks to the generosity of the League of Friends. Due to the urgency and because we missed the last container (sent October 2015) we can't wait for the next one this autumn. HHI will be air freighting the scanner in the next few weeks. We are also very grateful to many people in the Deeside and North Wales area for private donations and fund raising which has raised over £500 towards freight costs. Thank you. 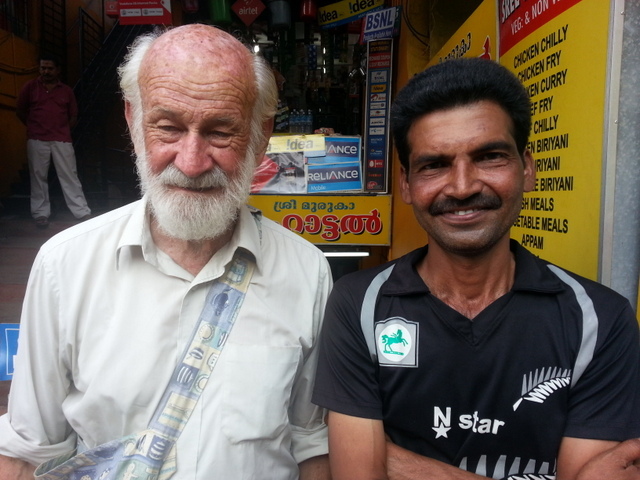 A recent story from Tom Sutherlands illustrates just how important our work in India is. Tom was approached by a family of a girl in the hospital. She had been bitten by a viper, and had been lying in her hospital bed for three weeks without any improvement. A course of three injections had been prescribed, but the family was unable to afford the cost - Rs. 3860 (about £40) each. Using some of the money we send out each month, Tom was able to buy a single injection, and the change was dramatic - she was soon sitting up in bed and eating. I have said that we will pay for the other two injections as well, confident that the funds for this, and all our other work, will come in. 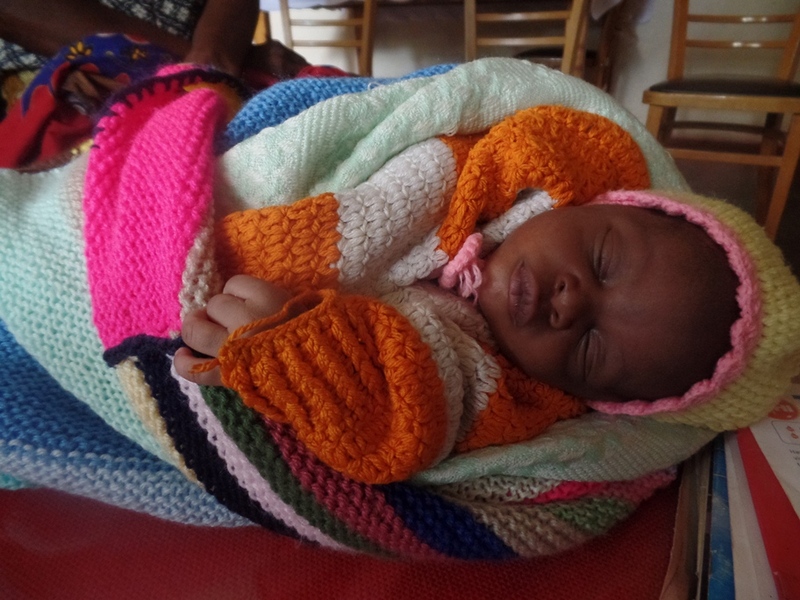 18 day old Royd Chifweta wearing HHI knitted garments. Sadly, Royd’s mother died from ‘an overflowing of blood’ immediately after giving birth to him. There had been no one available in their remote village to take her to the rural health centre. 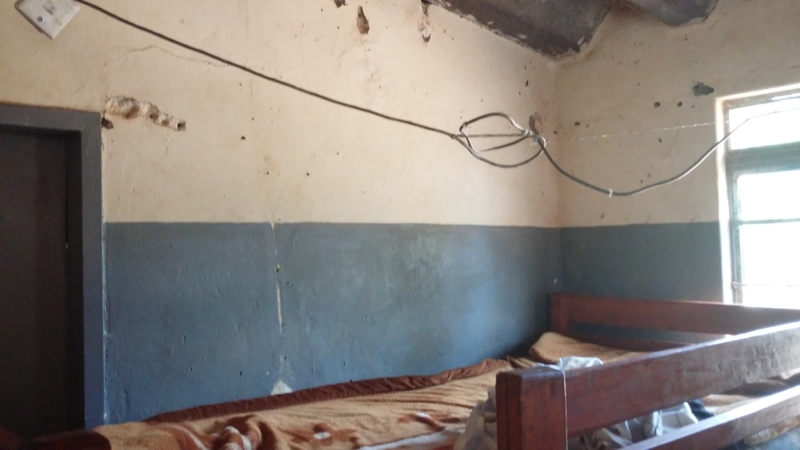 His grandmother presented him at the HHZ compound and the ‘Helps’ committee was able to offer financial support in order for her to obtain food and other necessities for him. In addition to this, the timely arrival of the container meant that Royd could be clothed in some of the wonderful knitted items donated by our busy army of knitters. This story sums up the essence of our work! Your freely given time and talent has brought comfort to Royd in his time of need and helps to bring hope to his world. Bright is a blind young man who was supported by HHI in Zambaia to complete his education, and obtain his teaching qualifications. As you can see he is now a qualified teacher of the blind, and is a great success and a tribute to all his hard work. Shibu has a new role! Tom takes up the story. This month we have a dramatic story for you. A couple of months ago, a couple living quite a long way away from Trivandrum came to stay in the capital. The husband was a heavy drinker and the couple quarelled badly. The wife was hit by a vehicle and was admitted to the Medical College Hospital. One evening Shibu was attracted by a commotion in Ward 8 (a women's ward near Ward 15 where many of Shibu's patients find themselves). The husband had turned up at the hospital, fully drunk, and had approached his wife, apparently affectionately, and had then pulled out a knife from behind and stabbed her three times in the neck. He then stood there brandishing the knife. Shibu sidled up behind him, pinning his arms to his side, and so the men in front could then disarm him. It was a great effort of Shibu, wasn't it? ... . A policeman who had come to the hospital introduced Shibu to his companion as "the Ward 8 superstar". Many of Shibu's patients are brought to the hospital by the police, so he knows them well. So it fits in with what Shuibu's role has turned out to be - doing those things that others aren't prepared to. HHI supports all the costs of Shibu's work in the hospital. HHI are funding a project in Chiyole near Monze - the community now have some bee hives and have already started to harvest honey. This will generate income for the community as the number of hives increase. We were greeted by the community committee at Chiyole when we went to visit to see how they were doing - take a look at the video. Though it is early days there is promise of a successful project. They are well organised and have set up new hives to complement the two older ones already producing honey. Their next step is to smear beeswax on the new hives when the flowers and trees begin to blossom (late October/early November). This will attract new bees to settle in the hives and grow new colonies. Some years ago we installed a hammer mill to the community of Chipembele. At the time they were poor and short of food. On our visit in October we visited them to see how they were getting on. It was heartening to know that the hammer mill was still operating and providing income for the community. They have maintained the mill over the years and the income generated has enabled the people to buy seed and fertiliser each year to provide their own maize and continued to grind maize for their customers. Watch the greeting we received. When asked what else they had done with the income and it soon came apparent that they had spent well - families called out the number of animals they had - pigs, goats and chickens abound in the community now. It was also good to hear that when an animal gave birth then the newborn was given to someone else in the community to help them. 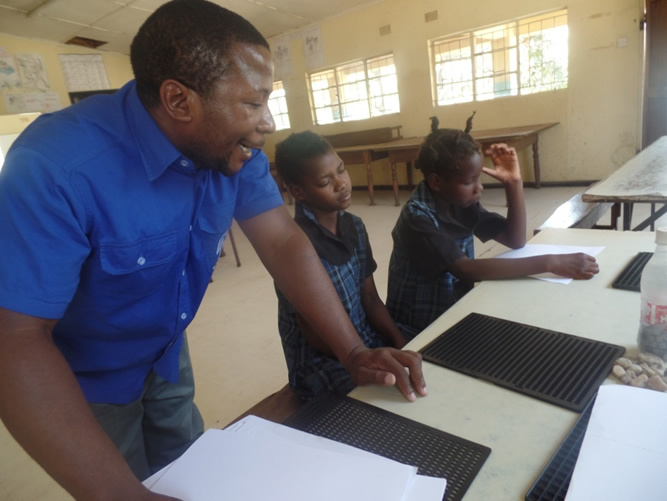 On a recent visit to Zambia we went to see the staff and pupils at Nanga special school, north of Mazabuca and about an hours drive from Monze. Perhaps the most desperate problem is budget. With school fees of kw500 per term - some of which is not paid because of poverty, plus a paltry kw3700 per term government fund (equivalent to about 6p per child per day) gives a total - if all pupils paid - of about kw12500 against a food budget alone of kw60000. Do the sums and it adds up to starvation! There are no forthcoming events. Check back soon!